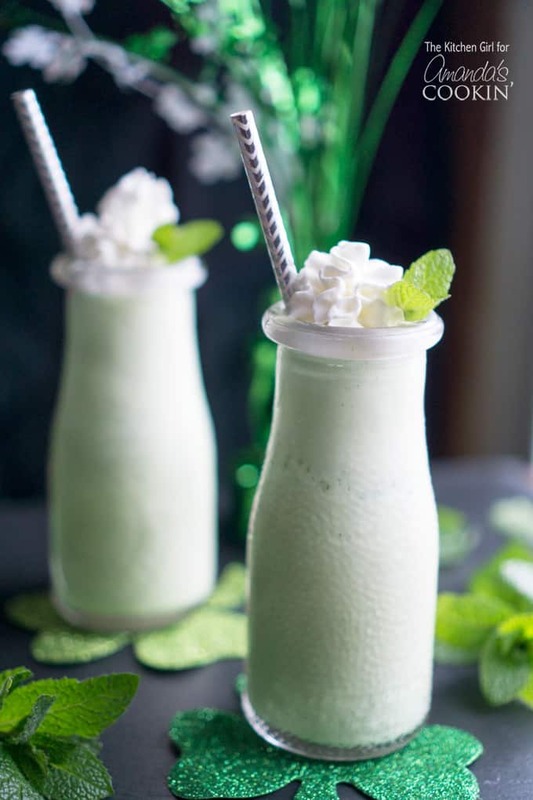 It’s almost that time again for our favorite, green, mint milkshake that appears around St. Patrick’s Day. 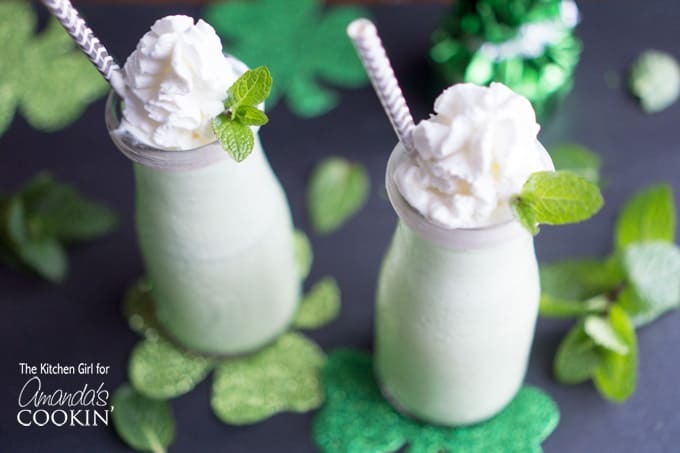 Did you know you can make your own homemade and naturally green shamrock shake? Yep, there’s no food dye in my shamrock shake recipe. Not one drop! It’s not always easy to find a healthier alternative (that still tastes good) to any frozen treat recipe, but this one is pretty darn amazing! 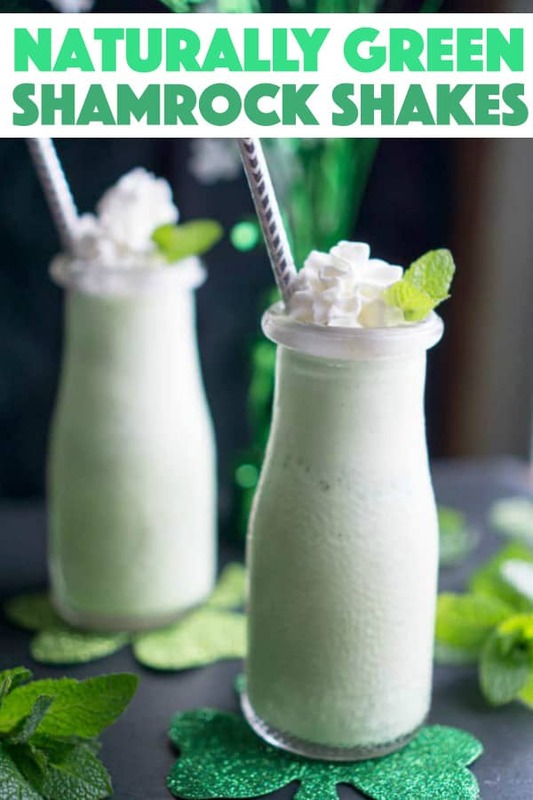 Ok guys, how do you get a green milkshake without the word spinach or kale in the title? Simple, you use mint leaves in place of food coloring. 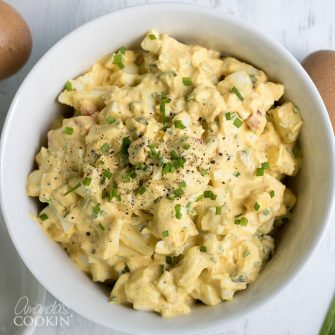 The idea was so appealing to me, I was determined to do it for this recipe. Guess what…I loved it! Like, really loved it. Like, I didn’t even need to add mint flavoring because I found the flavor to be perfectly minty, albeit subtle, in its natural state…exactly what I wanted for this recipe. Know what else I love? Drinking my naturally green shamrock shake while reading about the health benefits of consuming fresh mint, such as improved digestion and nausea/headache remedy. Bonus! Also, love it that the neighbor kids (my homemade shake-testers) found this one a winner in the categories of flavor and texture. Boom! If you own a high-speed blender and want to make more frozen beverages, check out my Miracle Slushie Sore Throat Remedy. This icy treat comes in really handy any time of the year for sore throat relief. In fact, I wrote the recipe out of desperation. Also, you might love my Peach NutriBullet Milkshake Without Ice Cream to cool down on those spring days just around the corner. 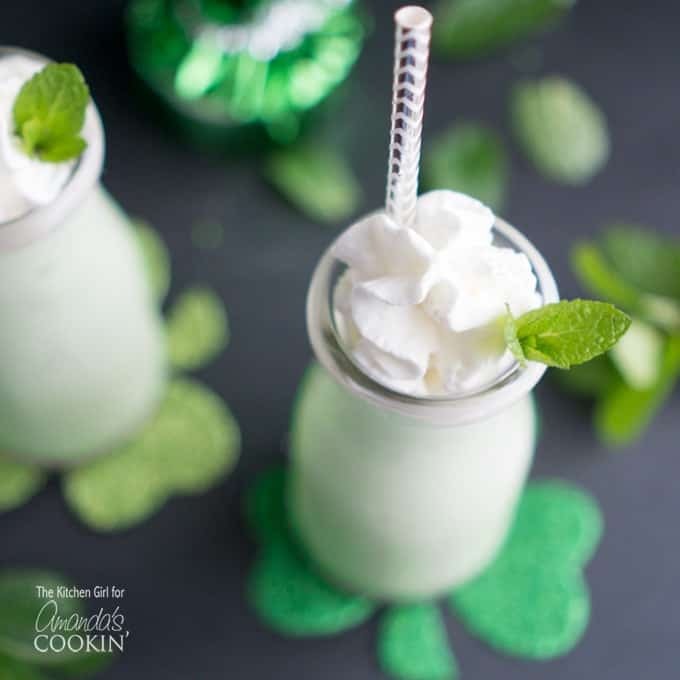 If you decide to give this yummy shamrock shake a try, leave a comment below and let us know how it turns out. May the luck of the Irish be with you! Creamy, minty Shamrock Shake made with vanilla bean ice cream, mint leaves, no food coloring, and no added sugar. Before adding mint flavoring, taste the shake to see if it’s minty enough for your liking. if not, add a few drops of mint flavoring as needed. Serve in a chilled glass; top with whipped cream (optional). This post originally appeared on this blog on Jan 23, 2017.